If you're planting tomatoes in your Arkansas garden, you're certainly not alone. According to the University of Arkansas Extension, not only are tomatoes the most popular garden vegetable in the state, but 80 percent of gardeners nationwide prefer them to any other homegrown food. Tomatoes like the hot summers in Arkansas, and they thrive in its rainy climate. Better Boy is the classic garden tomato. It produces globe-shaped fruit in about 72 days. This vigorous, indeterminate plant is resistant to fusarium wilt, verticillium wilt and root knot nematodes. Celebrity, a determinate vine, has large, firm, crack-resistant fruit that reach maturity in 70 days. It is resistant to fusarium wilt, verticillium wilt , tobacco mosaic virus and nematodes. Indeterminate tomatoes are vining, and they will produce fruit throughout the season until killed by frost. Determinate tomatoes, also known as bush tomatoes, grow to about 4 feet tall, and their crops will ripen all at the same time. 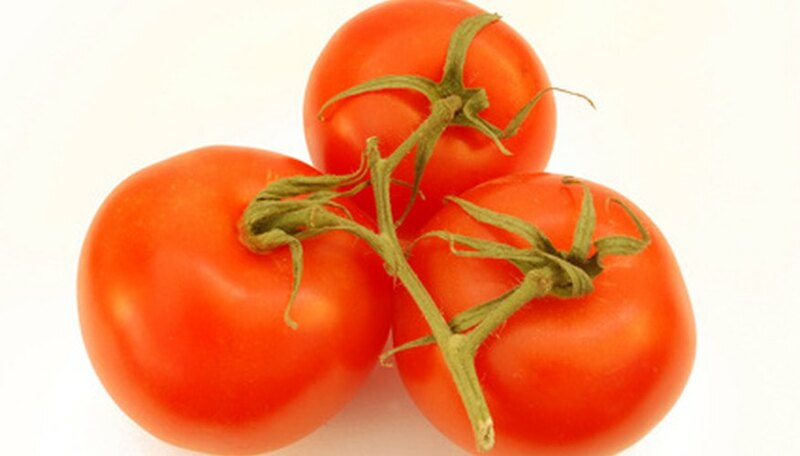 The tasty Brandywine is an indeterminate tomato with deep-pink skin that matures in 78 days. Because it is an heirloom tomato, it is not bred to be resistant to specific diseases, but it's hardy and easy to grow. Arkansas Traveler, another heirloom that is particularly appropriate for gardeners in the state, produces pink fruit that is mild, juicy and ready to harvest in 76 days. Another good choice for Arkansas is Ozark Pink, which has some disease resistance and matures in 75 days. Paste tomatoes usually are grown more for sauce and cooking than for slicing. Plum Dandy has blocky red tomatoes that you can harvest in 82 days. It is determinate and resistant to early blight, fusarium wilt and verticillium wilt. Lemon Boy is an indeterminate tomato that produces large, lemon-yellow fruit. This very productive hybrid is ready to harvest in 72 days. Cherry tomatoes are excellent container plants, and they're fun to eat right off the vine. The Sweet Chelsea is a hybrid that needs heat to set its blossoms. Its 1-inch red fruit are ready to harvest in 65 days. It is resistant to fusarium wilt, verticillium wilt, nematodes and tobacco mosaic virus. The Juliet hybrid has clusters of small fruit that look like miniature plum tomatoes. It is indeterminate and ready to harvest in 65 days. Burpee says it's the most crack-resistant cherry tomato.